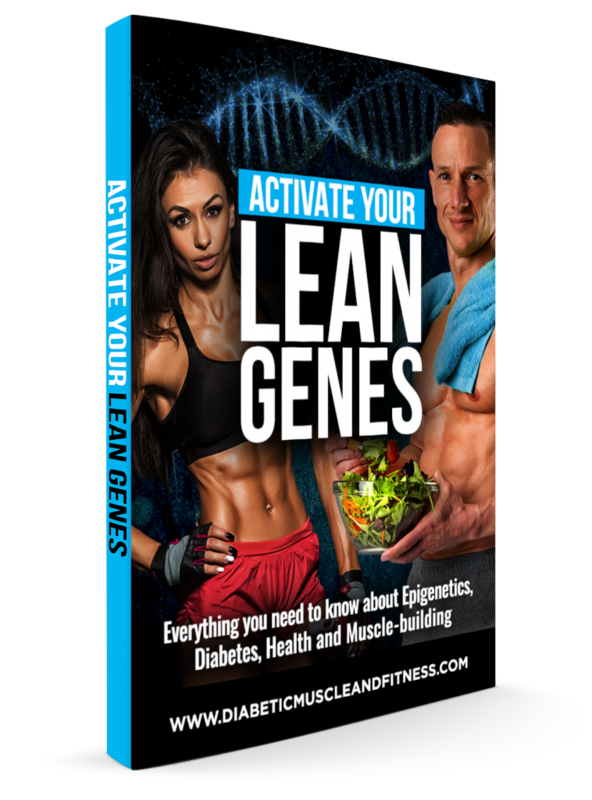 Diabetic Muscle & Fitness > Articles > How to activate your Lean Genes to build a better body, health, and insulin sensitivity? How can you get in great shape, improve insulin sensitivity and future proof your health? Simple, you need to activate your LEAN GENES. Those claims are talking about genetic determinism. This basically means. 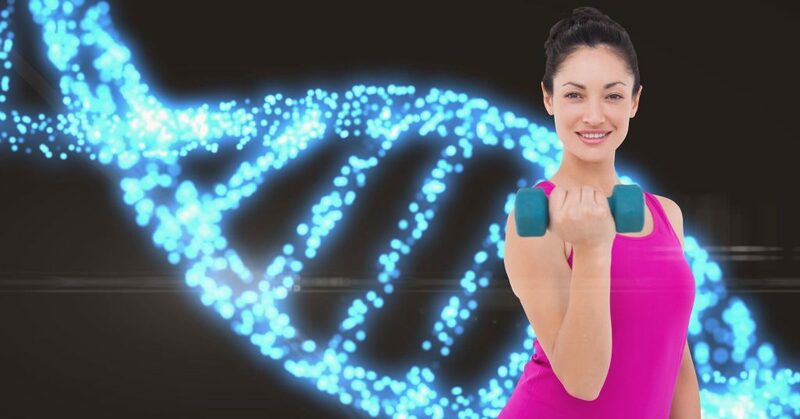 You are born with a genetic code that perfectly predicts your future health and physical potential. Also, you can do very little to change your outlook. You either got it, or you don’t, right? Wrong. Current science shows the exact opposite. 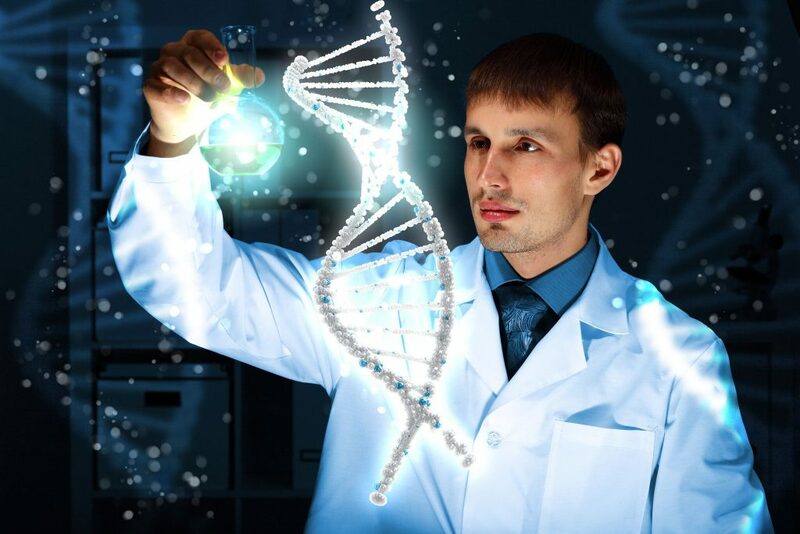 Your genetic code only predicts 20% of your future health (1). It’s how your genes are activated that makes all the difference, 80% of the difference. This is the field of science called Epigenetics. Epigenetics is the science looking at the environmental, nutritional and physical factors that influence your genetic expression. Imagine your genetic code is a large fridge freezer. The top part is the fridge, which is full of fresh fruit and vegetables, lean cuts of quality meats, and a host of quality fresh produce. You can consider these your “good” or “LEAN GENES”. The bottom part is the freezer, containing pizza, chicken nuggets, ready meals, ice cream and a shed load of processed food. You can consider these your “bad” or “fat” genes. Now it’s true that some people are born with bigger fridges that others (genetic determinism). But that is not the most important thing. The important thing is how you make your daily selections from the fridge or freezer (epigenetics). This is what predicts health, body shape, and insulin sensitivity. So basically, looking good, feeling good, on your way to Hollywood! 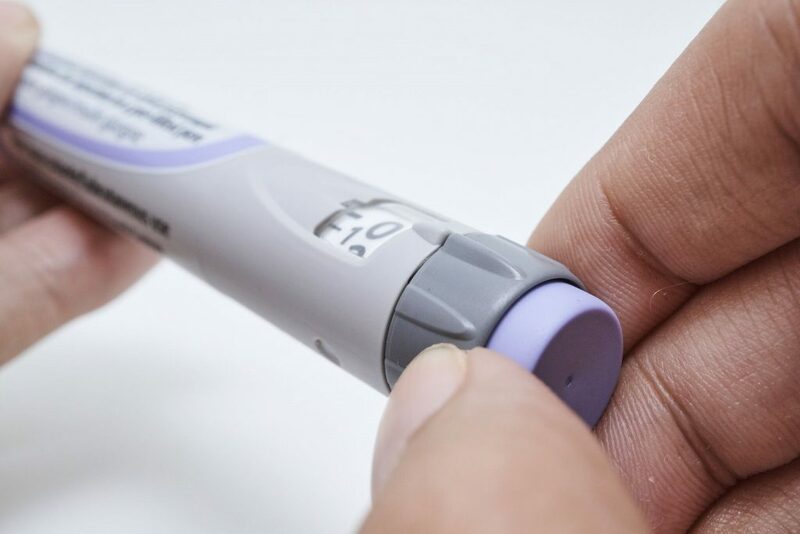 What happens if people with diabetes turn on their LEAN GENES? You can expect lower glucose levels, improved pancreatic function and to increase your fat burning potential. As shown in this diagram below taken from a leading research review article (10)! It’s great you’re asking that, it means you are in the right place. 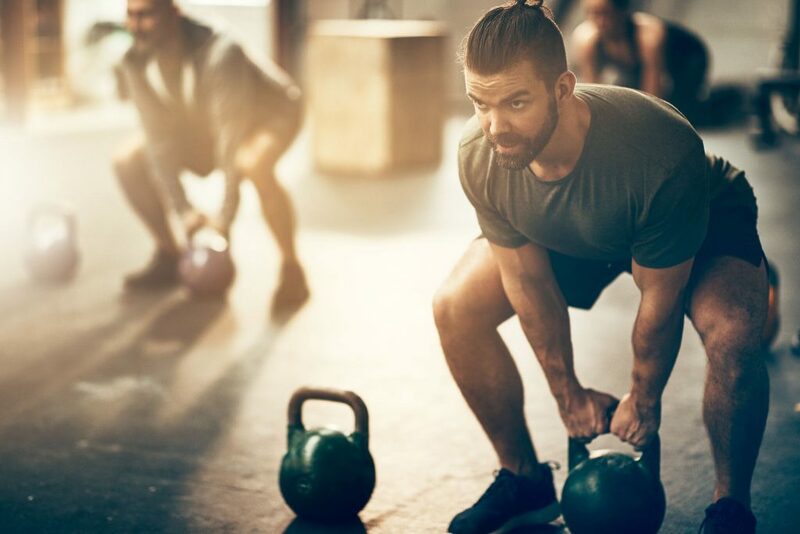 As you read this article, you will discover the BIG THREE lifestyle practices you can employ to get all the benefits of activating your Lean Genes. Before we start making changes. It’s essential we understand how the selection process works. What decides if the LEAN GENES (fridge) or fat genes (freezer) are expressed? There is a wide range of factors, but science is showing clearly that there are a set of MASTER REGULATORS within our cells that control the gene expression process. What are these MASTER Regulators? A group of enzymes called the Sirtuin Enzymes. There are seven of them, but Sirtuin 1 and 3 are the most important when it comes to the expression of your LEAN GENES. The cartoon below shows how the Sirtuin Enzymes (the conductor) create the lean gene activation (beautiful harmonious music from the orchestra). How do the MASTER REGULATORS alter gene expression? Simple explanation. The Master Regulators direct the hand into the fridge, so healthy selections are made. Technical explanation. The Sirtuin enzymes remove acetyl group (deacetylation) from proteins in the cells, which alters the activity of the proteins in favour of expressing your LEAN GENES. This deacetylation process requires NAD+, so the higher the NAD+, the more effective this process is. See this cartoon showing how the Sirtuin Enzyme removes an Acetyl group of a Histone, allowing the Histone to fire-up LEAN GENE expression. Make a mental note here. Anything that increases the NAD+ or Sirtuin enzymes in the cells, enhances Lean Gene activation. This will help you understand how lifestyle changes activate LEAN Genes. Increase the number of Sirtuin Enzymes in your cells. Create conditions (increase NAD+) in the cells that enable the Sirtuin enzymes to work as quickly and effectively as possible. 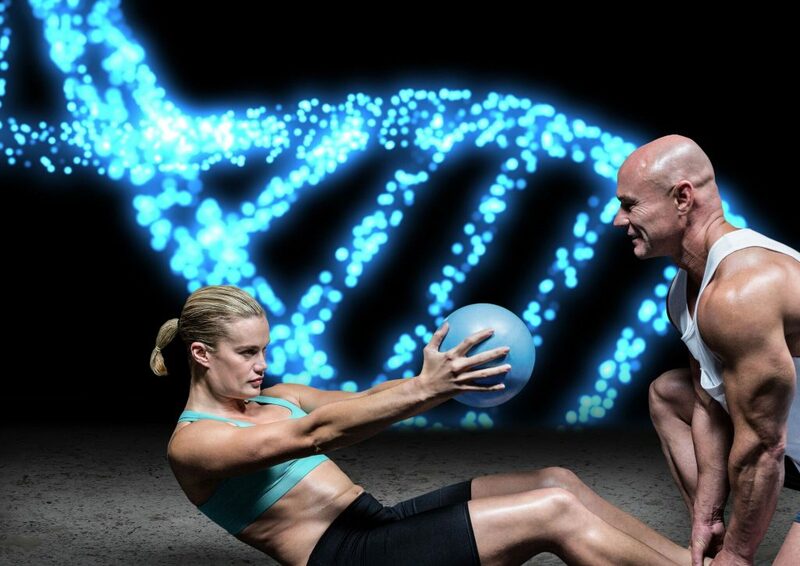 Now you are clear on the process of activating your LEAN GENES. It’s time to discover how to increase the number Master Regulators, and create a cellular environment that makes them sing! You are going to do this by employing the principle of Hormesis. Hormesis is the principle of applying a small stress to the body, the body fights that stress, then adapts the metabolic machinery to be stronger, healthier and more robust. So next time you can handle a higher stress load and you evolve into a machine that can handle anything! There are endless ways to stress the body to get this effect. But I am sure you want the ones that give you the best bang for your buck, right? Good, because the rest of this article outlines THREE of the most effective Hormesis strategies for activating your LEAN Genes. Three strategies that increase the number of Master Regulators and create the optimal cellular environment to fire up your LEAN GENES. This diagram presents an overview of how the BIG THREE work and consolidates your knowledge so far! 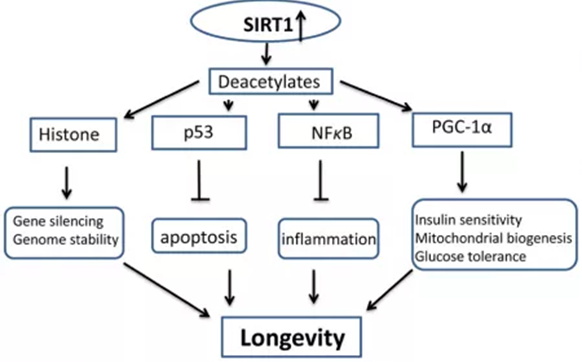 You can see how the big three increase the Sirtuin Enzymes (Sirt1) directly and/or increase NAD+. There are several metabolic pathways involved, including the AMPK and LKB1 pathways, but you do not need a deep understanding of the pathways. You just need to know once the Sirtuin Enzymes are activated with NAD+, there is a positive cascade leading to LEAN GENE expression and good health. Let’s break the big three down. What are Polyphenols and how do they work by Hormesis? Polyphenols are the plant’s defense mechanisms, they protect from UV light, insects, microbial infections, and they attract pollinators. They are compounds that contain at least one aromatic ring and are classified into different groups according to the number of aromatic rings and the structural elements that bind these rings together. 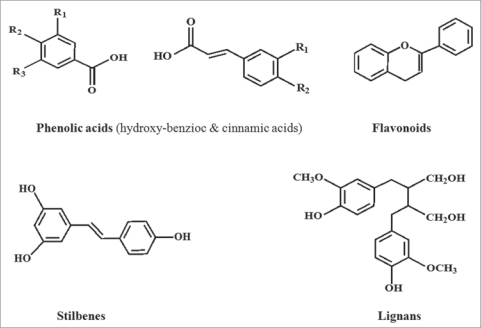 Therefore, polyphenols are classified as flavonoids, phenolic acids, lignans, and stilbenes. When we consume polyphenols, they act by applying a stress to our cells and increase the Sirtuin Enzymes. Because this stress comes from plants, it’s technically known as Xenohormesis. Polyphenols also have an anti-oxidant effect and help lower blood pressure by dilating blood vessels. This all sounds great, but what is the evidence to say consuming Polyphenols is beneficial for health? 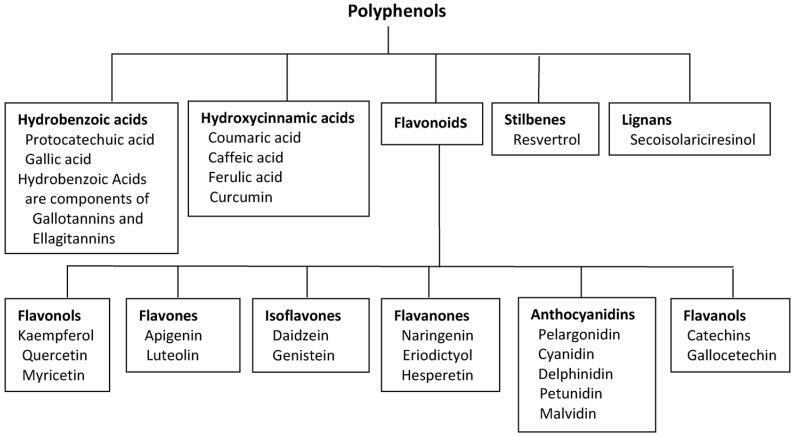 This graphic shows each category of polyphenols has sub-categories, and lots of individual polyphenols. There are literally thousands! Fortunately, a European Team has identified the 500 most important polyphenols and created a database, the Polyphenol-Explorer. The Polyphenol database allows you to see which foods are bursting with the key polyphenols. I spent hours trawling the database to develop this table that summarizes things nicely. 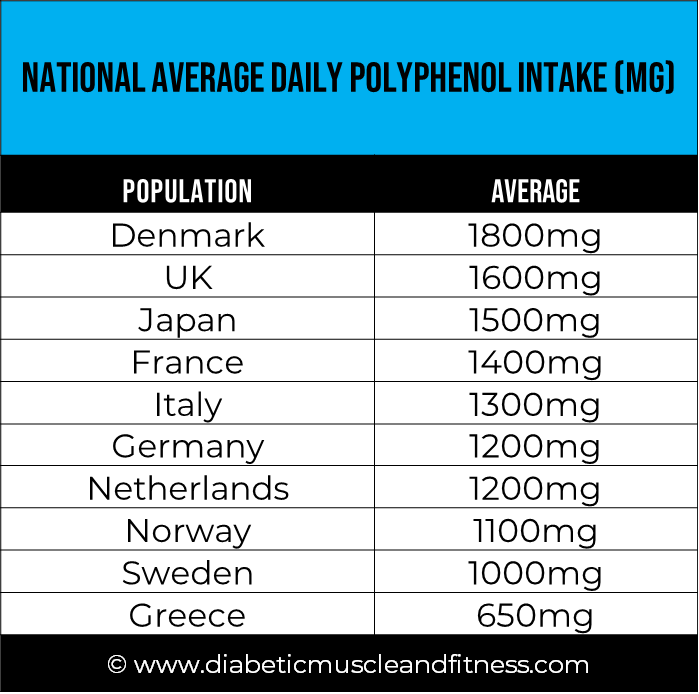 You should now be starting to realize why you need a high and diverse intake of different foods groups to get your Polyphenols! The Polyphenol-Explorer database has been independently validated by a huge pan-European study (12). The study also reported usual intakes by the different nations. Do you think consume more than your nations average? Your overall daily intake in mg. Your intake is broken down into the key food categories. Notification if your intake is low, medium, optimal, or too high in the different food categories. Considerations of how to improve your intake. Top food lists to help you achieve optimal intakes. See the below report from one of our Training Lab members. You can see his overall intake is medium and there are several food groups with a low intake. Interestingly, he thought he had a “healthy diet”, but this made him realize there was a lot of room for progress. After chewing over his report, he decided to take on the Diabetic Muscle and Fitness Four-Week Polyphenol Challenge with other community members in the Training Lab. He used the top foods list we created to improve his polyphenol intake. Below are two of the eight Top Food lists. Using the 100mg and above list for Teas and Cocoa products, he decided to introduce Green Matcha Tea and add in a couple of cups of peppermint tea per day. Using the 150mg and above list for Fruits, he decided to introduce Figs, prunes and plumbs. He now has optimal intake overall and most in categories. He has a “high and diverse intake of polyphenols”, so he can expect all the health benefits, as he is regularly firing up his LEAN GENES. Still some room for improvement in the herbs, spices, and condiments – But nobody is perfect, right? How do you think you would score? If you want to find out, access the Training Lab to use the unique tool. Eat fermented foods such as sauerkraut and kimchi. 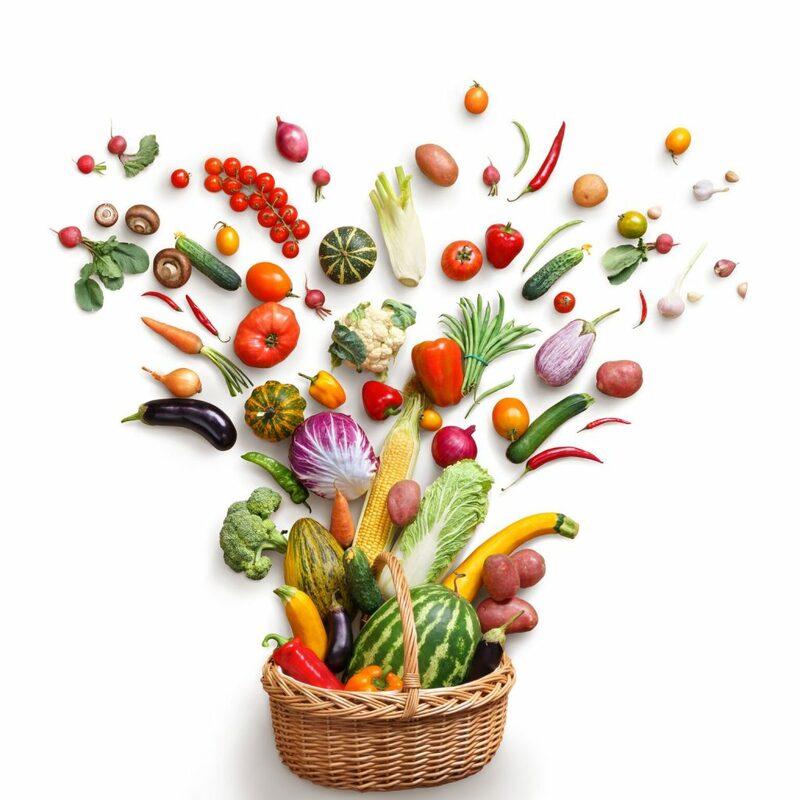 Eat at least one fruit and veg from each colour of the rainbow every day. Eat foods high in pre-biotic fibre such as onions, garlic, and leeks. See the Guide in the Training Lab for more detail. Add lemon juice to tea. Consume fat with vegetables e.g. light frying of onions. Eat high-quality protein (high in Leucine). See the Guide in the Training Lab for more and a more detailed explanation. Ok, Polyphenols are done, let’s get into cold stress. Cold Stress was popularized by Tim Ferris in his book The Four Hour Body, and more recently by Wim Hoff -The Ice Man. Stories of ice baths, cold packs, Cryotherapy, and cold showers being the fountain of youth. Promises of rapid fat loss, increased metabolic rate, improved mental health, and building resilience. Let’s find out, but first, what does Cold Stress look like? Cold shower: Turn the shower to full cold and stand under for 5-15 minutes. Not as easy it sounds. Start with 5 minutes and increase by a minute each time. Cold bath or bin: Submerge up to the neck for 5-15mins. This is actually easier than a shower as you do not get the constant sprinkle of cold on you. Build duration up over time. Cryotherapy: Enter a cold capsule and be blasted by liquid nitrogen for a short time period, usually 2-3 minutes. Much more expensive but very time efficient. Usually 2-3 minutes. Studies comparing all methods show they elicit the same response, as long as the core temperature drops (13). So, the best for you depends on finance, availability, and your mental strength to withstand the cold for longer durations. What do the research papers say? Cold stress causes a BIG surge in stress hormones: Noradrenaline increases by 300 -500% and Dopamine by 150-250% (14). Good for mood: noradrenaline and dopamine electrify the regions of the brain to make you feel good, the same effect induced by caffeine. Interestingly the cold stress response does not go away with daily practice, unlike the quick graduation from a single, to a double, to a triple espresso. Sound familiar? Good for the immune system: noradrenaline reduces inflammation by decreasing key inflammatory factors, and increasing beneficial natural killer cells (15). This has been linked with reducing brain inflammation, by better use of Serotonin (happy chemical). Good evidence shows cold stress improves arthritis symptoms (16) and lowers incidence of nasty chest infections (17). Interestingly, studies of centenarians (people over 100 years) show INFLAMMATION (low levels that is) is the strongest predictor of living a long and healthy life (18). This is a big leap I know, but could occasional exposure to cold stress help you live longer and stronger? Cold Stress stimulates heat production and increases metabolic rate by up to 350% (19). This is mediated by two processes. Shivering (believe me, this happens!). The muscles twitch rapidly using glucose to produce heat. This creates a serious energy stress and is very much Hormesis. Stimulation of brown fat to produce heat by burning fat. Brown fat found in your sternum and collarbone region is special. Why? because it is the only type of tissue that can burn fat purely to produce heat. Consistent exposure to cold stress increases brown fat accumulation over time via the Sirtuin 3 metabolic pathway (20). This sounds great, as it increases fat burning potential! However, there is a strange irony with brown fat. The accumulation only happens for LEAN INDIVIDUALS. Unfortunately, brown fat accumulation is virtually non-existent for obese people (21). This is a cruel paradox, and is shown in the graphic below! Cold Stress has been shown to improve our internal anti-oxidant defense systems by 40%, to help fight the damage from everyday inflammation (22). Could cold stress become one of your five a day? Cold stress can improve recovery from training and injury. Amazing, let’s get in the cold bath, right? Not so quick, the devil is in the detail. It all depends on timing and type of training! For strength and muscle building training: DO NOT APPLY COLD STRESS IN THE 1 HOUR AFTER TRAINING (the anabolic window). You need the inflammatory response after training to drive muscle growth and strength! Research has shown cold exposure in the hour after strength training slows any gains (23). For endurance events and sports specific activities, it’s a different story. Applying cold stress soon after the activity is important. Why? Stopping inflammation is key, so repeated bouts of training can be completed. It is the enzymatic changes and increased number of mitochondria that drive performance improvement for endurance training, not hypertrophy (mostly). Cold stress has also been shown to increase the number of mitochondria (energy-producing cells) in muscles (24). Cold stress has been shown to improve performance markers in elite runners by 20% (25) and increase sprint power of elite cyclists by 5% (26). This all sounds great, but what about people with Diabetes, any evidence? As usual NO, but there are no reasons why this would not work for people with Diabetes. Increase blood glucose during and after. If you have a heart condition it can be very dangerous (27), DO NOT DO IT. The increased glucose utilization from shivering may make your glucose drop. The cold feeling will mask any signs of going hypo. You will need to be aware of the last time you gave a bolus of insulin. If in the last 3 hours your response will be much more unpredictable. Make sure glucose is 7mmol/l (125mg/dl) before starting. Measure before and after and 30 minutes after to see the effect. Start with 5 minutes and build up minute by minute. Have someone with you for the first few times. Make sure your last bolus insulin was at least three hours ago. Keep it to three times a week for practicality, and to reduce to risk of too much stress. If you are dieting hard and in a big energy deficit, do not use cold stress. It may be one stress too far and lead to overtraining and illness. Check with your Doctor before trying anything, especially if you have a heart condition. If you are thinking of doing contrast therapy, from hot to cold and back, this puts the body under increased stress. This has been shown to be an issue for people with poor heart health (28). So, there you have it. Cold Stress has quite a few potential benefits, but you have to be prepared for a bit of mental torture three times a week to get them! 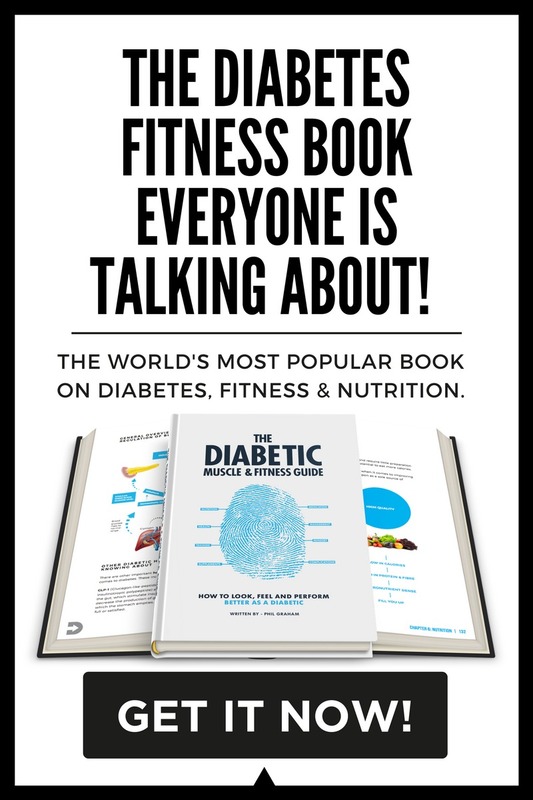 Diabetes does present a few extra challenges, but you now have the tools to overcome them. 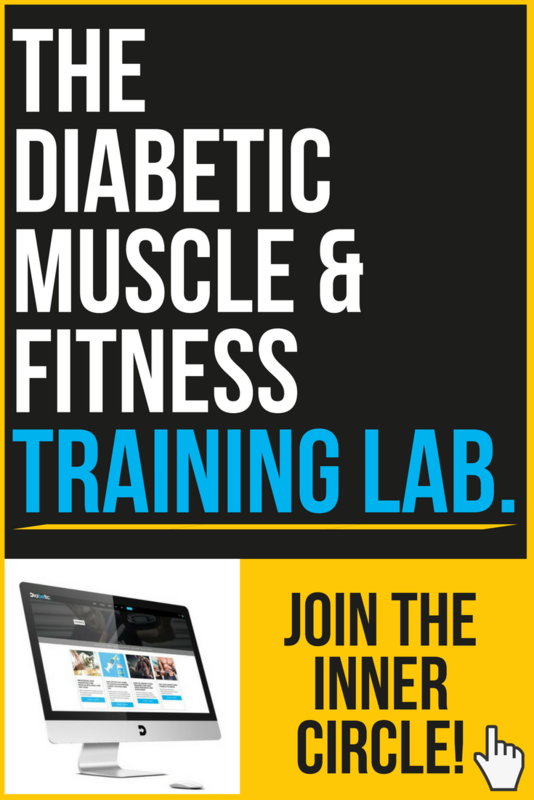 Do you want to join an elite group of people with Diabetes who have taken on the Diabetic Muscle and Fitness Four-week Cold Stress Challenge? 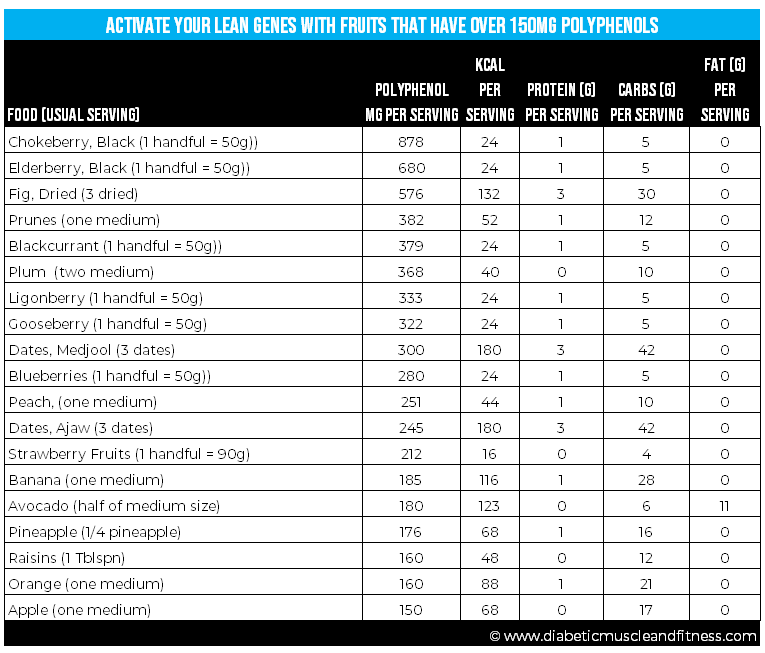 Is so, head over to the Training Lab where the Activate Your LEAN GENES Guide will walk you through it step by step. Ok, two down, fasting to go! Why does fasting fire up your LEAN GENES? There are multiple metabolic pathways that lead to the activation of LEAN GENES whilst fasting. We will keep our focus on the main two. Firstly, fasting directly increases the level of Sirtuin 1 enzymes. Secondly, the caloric restriction leads to the cells using a lot of nutrients, which causes a very high NAD+ level (29). This combination is a true stress on the body, and leads to serious activation of your LEAN GENES. The research evidence on the benefits of fasting is vast and beyond dispute (29). Not to mention that it’s been practiced throughout human evolution, is practiced routinely by many religions, AND IT’S WHAT OUR GENES EXPECT REGULARLY TO BE HEALTHY! In western society we have just forgotten about it. Because there is an abundance of food on every street corner and takeaways just the click of an app away. Instead of fasting being imposed on us by seasonal food scarcity. We have to purposefully pursue the practice of fasting to get the benefit! This is the challenge. We, humans, love immediate gratification, that’s why we love tasty food, we get in the car for all our trips, and we often prioritize being on our phone until late, in place of seven hours quality sleep. To meet our evolutionary need to fast, we need to understand the benefit, then shape our environment to make occasional fasting a way of life! One or two 24 hours fast a week – Popularised by Brad Pillion – Eat Stop Eat. In my ten years of clinical and coaching experience, there is one clear winner for people with Diabetes. Before I tell you which one, let’s break each of them down. If you go for 24 hours without eating, once or twice a week, then back to maintenance caloric intake, your basal insulin requirement changes drastically. Even though modern background insulins have improved, they cannot keep up with this fluctuation. People on an insulin pump have a better chance, but they need two or three basal profiles – this requires a high level of daily management. In my opinion from lots of clinical and coaching experience, the Eat Stop Eat method often leads to erratic blood glucose. This is a similar story for the 5:2 diet. Changing from maintenance caloric intake to 300-500kcal twice a week will require two different regimens. Not quite as challenging as Eat Stop Eat, but a level of inconsistency that does not match diabetes medications. If you are considering a 3-7 day fast, please seek medical support. You will need a planned gradual reduction in background insulin or medications. You will need to understand the difference between nutritional ketosis and diabetic ketoacidosis. 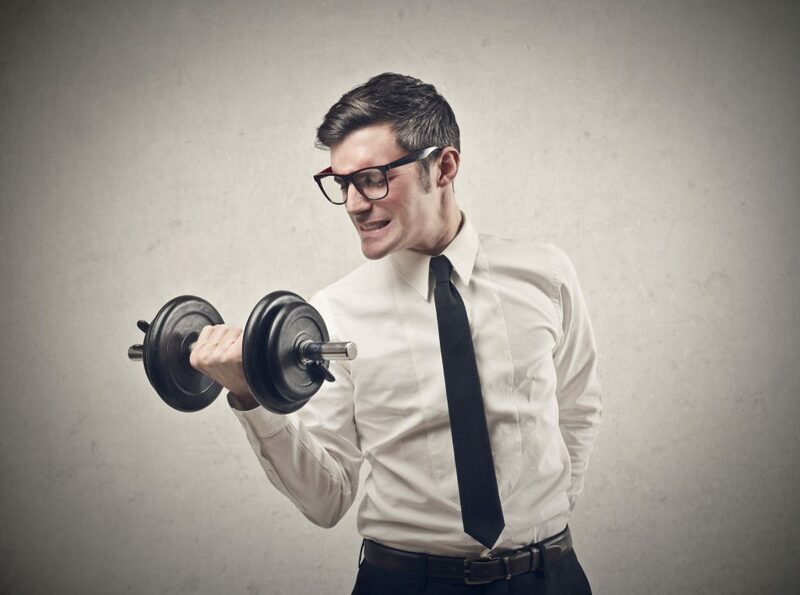 You will need to stop resistance training. Finally, you will need a crazy level of grit and determination. You may have guessed by now. The best choice is Intermittent Fasting. Matching diabetes medications (especially insulin) to metabolism requires one thing, CONSISTENCY. 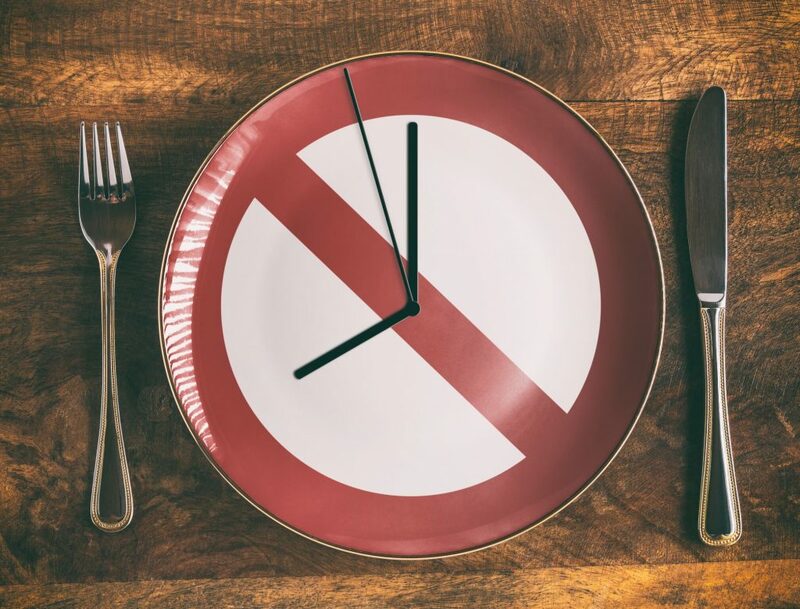 Intermittent Fasting provides a level of consistency from day to day that allows diabetes medications to be matched very effectively. I have helped countless people with diabetes get the benefit from intermittent fasting with very few blood glucose issues. An 18 (fast) 6(eat) regimen you can improve your hba1c. If you stop eating at 6 pm then your quick acting insulin is out of your system by 10 pm (bedtime). If you get your glucose in the target before bed and your background insulin set correctly, you get the next 18 hours target range. You may need a small correction dose of insulin first thing in the morning if you experience dawn phenomenon. Train at 4 or 5 pm after you have eaten so you have the energy to smash a tough session. Fasted sessions can be challenging. You may need a reduced dose of background insulin in the morning If you take a split dose or you are on an insulin pump. Why? Your liver glucose output drops in favour of burning fat as the fasting period goes on. This sounds GREAT, so I should use Intermittent Fasting all the time, right? Not quite. 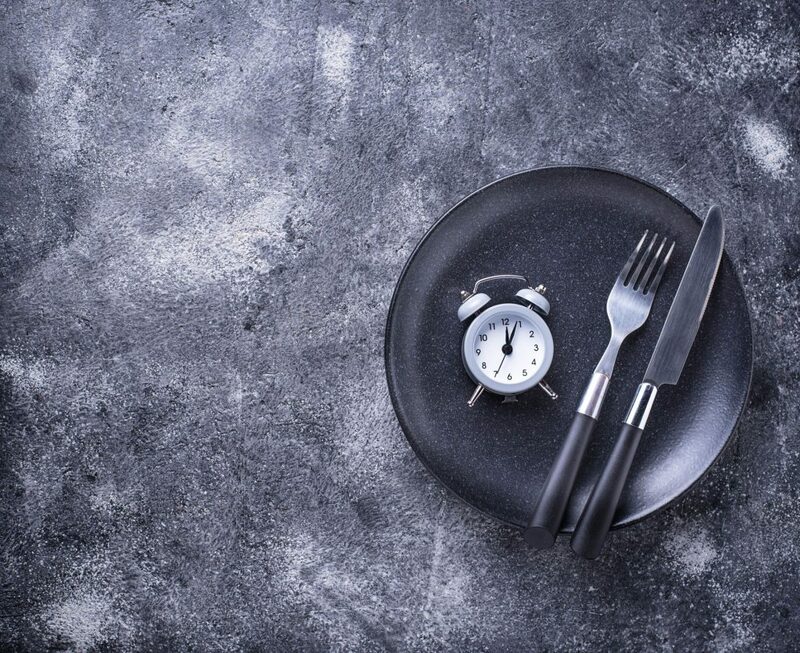 There are times when Intermittent Fasting will be beneficial, and other times detrimental. 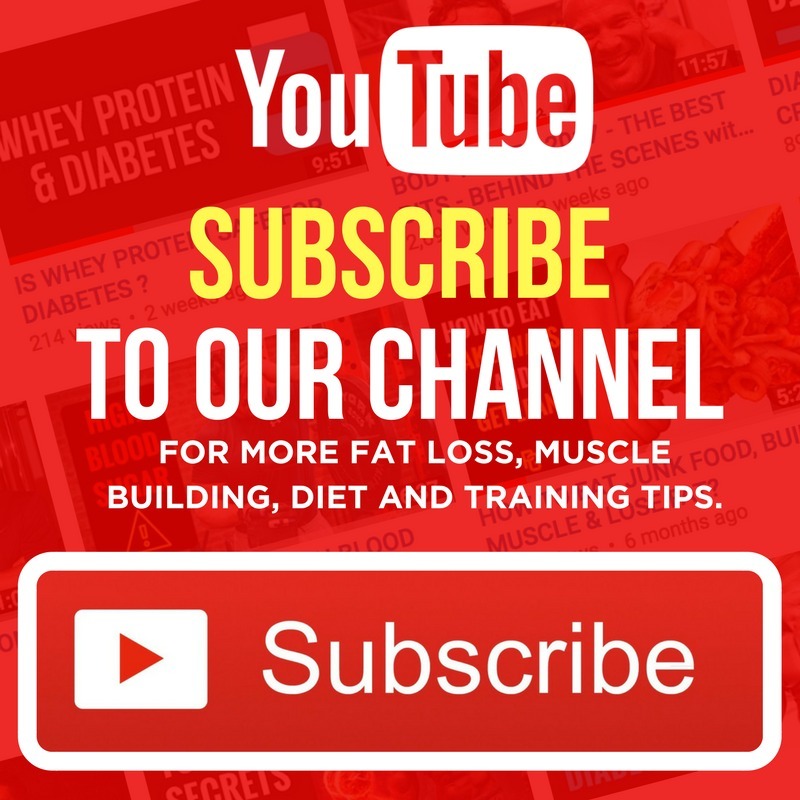 Maintaining current physique or slow body fat loss phase. Training intensity is not of primary importance. Issues with post-breakfast glucose spikes. Heavy periods of training requiring on point pre and post nutrition. 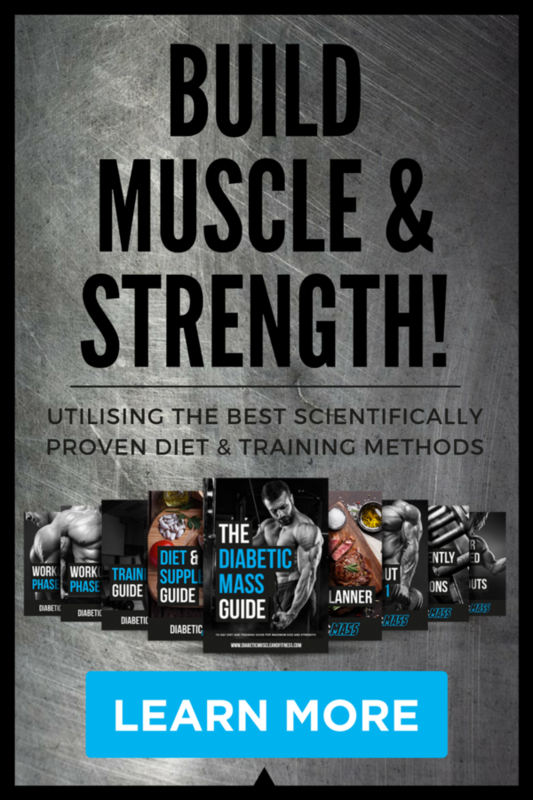 We have had some amazing results in the Training Lab from those who have taken on the Diabetic Muscle and Fitness Four-Week Intermittent Fasting Challenge. The Challenge takes you from a 14:10 to a 20:4 over four weeks. It also provides you with a detailed guide on how to adjust medication to manage blood glucose control. Obviously, you need to agree on any medication changes with your Health Care Professional. Let’s recap on what we now know. Our Genes only determine 20% of our health, the most important thing is which ones we turn on. Simply, it’s not the size of your fridge or freezer that counts, but the selections you make from them. The Sirtuin enzymes are the master regulators that fire-up your lean genes by a process of deacetylation. 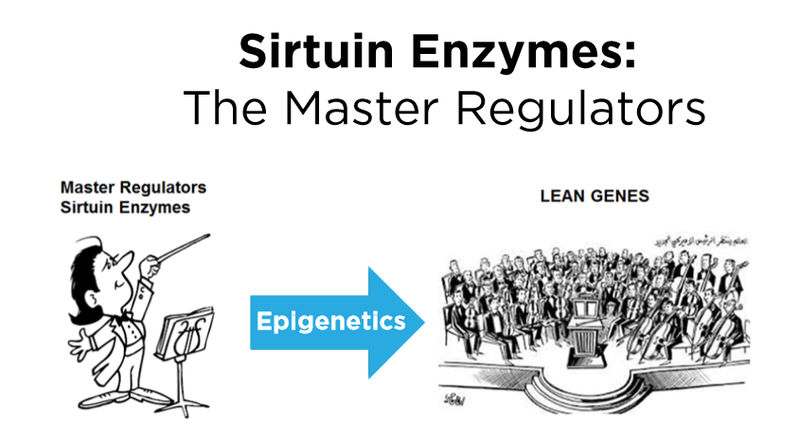 Simply, the Sirtuin enzymes are the conductor and the Lean Genes are the Orchestra. Hormesis is the process that stimulates the Sirtuin enzymes and elevates the level of NAD+ in the cell to fully activate your Lean Genes. Simply, what does not kill you makes you stronger. Polyphenols – High and diverse intake. Cold Stress – Fat burning and mood elevation. Intermittent Fasting – Consistency is key. A detailed video guide and practical handbook to further your knowledge. 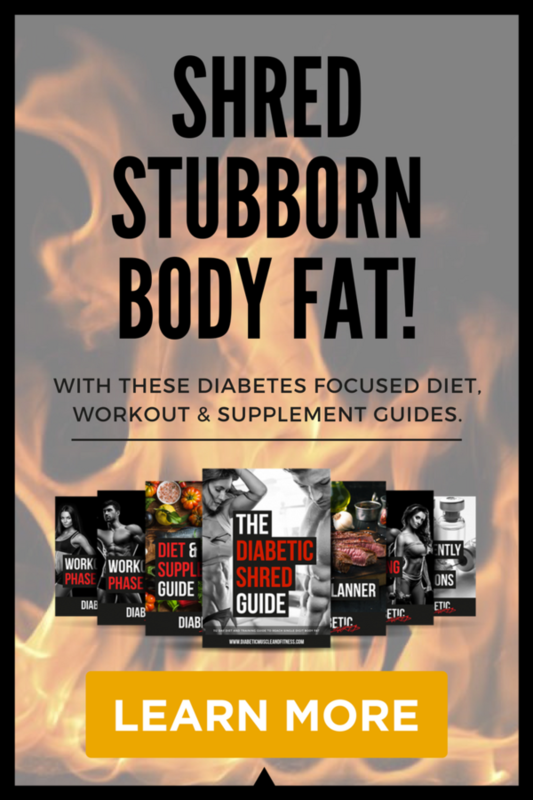 The unique Diabetic Muscle and Fitness Four-Week Challenges to convert understanding into real learning by taking ACTION. A Community of like-minded people to learn from and get accountable for. I hope you enjoyed this article. If so, please share with friends who have Diabetes. Biochem Pharmacol. 2011 Mar 1;81(5):569-76.